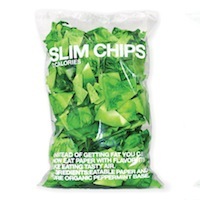 It's the journeyman of the kitchen, the appliance loved by soccer moms and stoners alike. It warms your coffee, cooks your Spaghettio's, and explodes your Peeps. 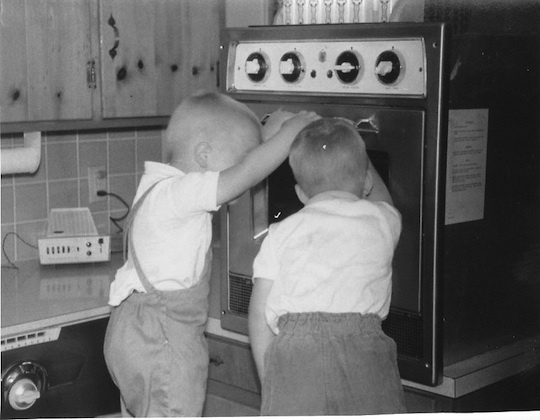 Yes, kids, it's the humble microwave, and it's the focus of this, the inaugural Natural History Of The Kitchen feature. The 1950s may not be the most obvious place to begin a series on dining history; the next decade may seem to have had much more influence on American cuisine as we know it today. However, to know where you've arrived is to know where you came from, and thus we begin this series with the 50s largely as a point of comparison for the gastronomic advances that follow. While mid-century food is not necessarily known for being gourmet, it was arguably a time when the many American food staples were introduced. Fast food became common, with chains such as McDonald's and Kentucky Fried Chicken spreading across the country. 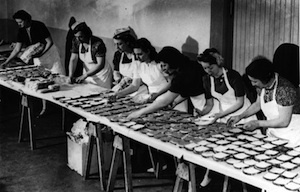 Foods of convenience, such as TV dinners and instant drink mixes, became prevalent as products aimed at the American housewife sought to streamline house work. It was also a time when many of the founders of American gastronomic culture got their star. Julia Child, along with Simone Beck and Louisette Bertholle, began their L'école des trois gourmandes in 1951, and Craig Claiborne joined The New York Times as food editor in 1957. Many of James Beard's volumes on barbecue were released in the 50s, including The Complete Book of Barbecue and Rotisserie Cooking (1954; buy it ) and The Complete Book of Outdoor Cookery (1955). The seeds of a culinary revolution were planted in the 1950s, and over the next few weeks we'll explore various facets of that decade. 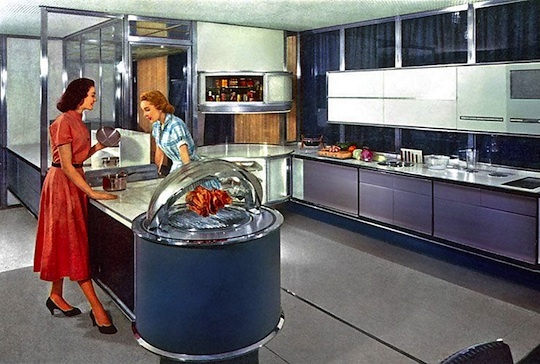 Below, we delve into the past to see how they envisioned our present with Kitchens of the Future. Hopefully you're reading Top of the Food Chain, one of our newer columns in which Ryan Adams discusses the particulars of different cuts of meat. 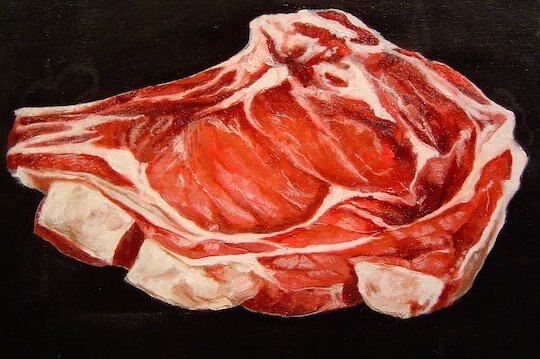 Artist William Pettit certainly is, and noticed something peculiar about them: the photos we use the illustrate the specific variations on the cuts, which come from an out of print edition of the North American Meat Processors guide, are uncannily similar to a series of paintings he did in 2005. Pettit had never seen the NAMP images before he read Ryan's column; the untitled paintings are done from life. A sampling of Pettit's work, as well as his thoughts on his process, below. In the 1990s, Cathy Mitchell was the queen of infomercials, pitching products like the GT Xpress, a sort of George Foreman-type grill, and the GeMagic, which affixes jewels and metal studs to fabric. 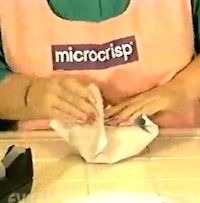 Everything is Terrible has a remix of her infomercial for Microcrisp, and special sort of paper that "creates a sort of little mini oven around your food." Sounds like...a microwave? "But you're obviously one of those people who would rather see it than read about it," aren't you? Video below. 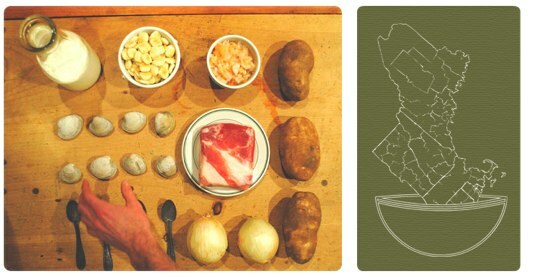 As if you needed yet another reason that libraries are the best: the library at the University of Massachusetts has created the world's only New England Chowder Compendium. The online collection consists of chowder recipes, pictures and ads from the 1870s to the 1970s, and exists to "to investigate the hows and whys of chowder's rise to its place as an essential part of New England regional cuisine." The most interesting part of the collection is ogling all of the old recipes; the best we saw is for a "diet" chowder — from the 70s, of course — that consists of clams, skim milk, onion powder, Oleo, and most likely a microwave. Who wants chowder? 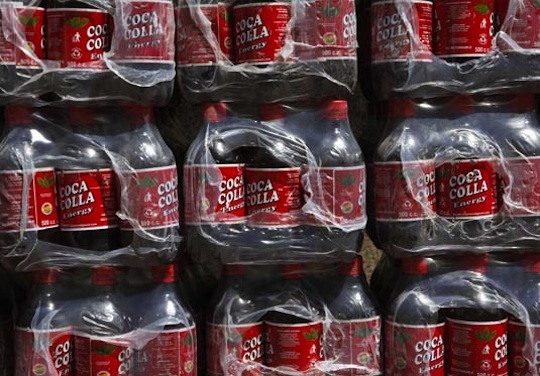 Well, this gives new meaning to the idea of Coke "Classic": Bolivian president Evo Morales has approved the production and sale of a soft drink called "Coca Colla," which, apart from being a familiar-looking dark soda with a red label, also contains an extract made from coca leaves, the raw ingredient used to manufacture cocaine. While the recipe for the original Coca-Cola is a famously guarded secret, the original recipe did contain coca extract. Coca-Cola stopped using a full coca extract in the soft drink in 1929, although the product supposedly still contains coca flavoring from which the stimulating aspects have been removed.